Re-energise and supercharge your skin with Hydro Boost® Capsule-in-Serum Supercharged Booster, a powerful yet weightless booster. The formula intensely rehydrates, helps smooth away dry lines and instantly illuminates tired skin. The booster serum is infused with Hyaluronic Acid and delivers up to 24h hydration. The exfoliators contain antioxidant and revitalising vitamin E that is dispensed into the serum as you pump it out, maintaining its efficacy until the moment of use. *Self-assessment on 32 volunteers who used the product twice a day during 4 weeks. Hyaluronic acid + vitamin E capsules. Apply straight onto skin or add 2-3 drops to your favourite Hydro Boost moisturizer on the palm of your hand and apply as per your usual moisturising routine. [PR-018550], Aqua, Propanediol, Glycerin, Pentylene Glycol, Chondrus Crispus Extract, Mourera Fluviatilis Extract, Arginine, Alanine, Panthenol, Serine, Tocopherol, Caprylyl Glycol, Ethylhexylglycerin, Threonine, Chondrus Crispus Powder, Niacinamide, PEG-60 Hydrogenated Castor Oil, Butylene Glycol, PCA, Sodium Hyaluronate, Sucrose, 1,2-Hexanediol, Agar, Algin, Gellan Gum, Acrylates/C10-30 Alkyl Acrylate Crosspolymer, Ammonium Acryloyldimethyltaurate/VP Copolymer, Synthetic Fluorphlogopite, Disodium EDTA, Trisodium EDTA, Citric Acid, Tromethamine, Tocopheryl Acetate, Phenoxyethanol, Potassium Sorbate, Parfum, CI 77891, CI 77019. Where reviews refer to cosmetic products, results may vary from person to person. Customer reviews are independent and do not represent the views of Johnson & Johnson. This product is fantastic my skin has never felt so refreshed and energised. Great to put on first thing in the morning especially if you are feeling tored as you instantly feel more awake and fresh. Package makes you want to rip it open and see what the product looks like and I was not disappointed. It is like little pearls of energy for your skin, no my greasy at all just cool and refreshing perfect after a long day or for the start of the day if you need that extra wake up. 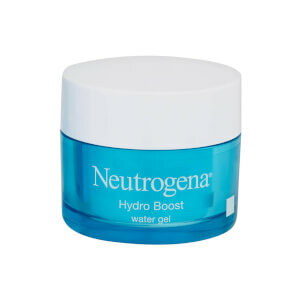 With the NEUTROGENA Hydro Boost Capsule-In-Serum Supercharged Booster the first thing I noticed was the packaging and the bottle, they really stand out and it draws your attention to the product. 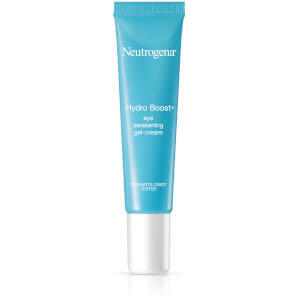 I usually use creams as a moisturiser, but decided to try the NEUTROGENA Hydro Boost Capsule-In-Serum Supercharged Booster to give my skin a bit of a boost, after being on holiday. The product description says it keeps the complexion healthy and glowing for 24 hours. It targets dryness and fatigue and makes skin instantly hydrated. I read the directions on how to use and decided to try it, on first use I did find the product quite sticky on my face, it didn't feel refreshing and my skin didn't really feel much more hydrated. 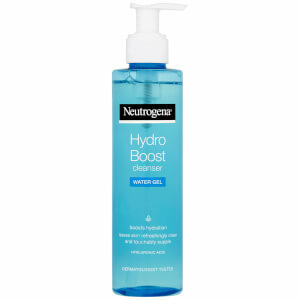 I do have to say the smell of NEUTROGENA Hydro Boost Capsule-In-Serum Supercharged Booster is lovely and it made me persevere. I continued to use the product to see if the stickyness went away, and instead of using 3 little pumps used 2 and I'm happy to say the more I used it the more I noticed a difference. As the week went on my skin felt more hydrated and brighter and definitely less sticky. As much as it did start to work, I do prefer creams to serums and that is the only reason I wouldn't purchase this item again and the reason for 4 stars. It did do the job, it's just not my personal preference. I was actually surprised with this product it worked so much better than I thought it would. I don't like watery liquids but my skin just soaked it in instantly and looked so much fresher. Even when I was ultra shattered. I will definitely be buying this when on shelves. Really impressed with this hydro serum lovely to apply thin layer goes along way leaves my skin feeling fresh texture is just right. Not sticky and thick, would definitely buy this after testing it. Perseverance is key! I struggle with really dry skin at this time of year and often find my skin feels and look tired. However, since using this Hydro Boost my skin feels soft and looks fresh, hydrated and healthy. The serum is very thin so a little goes a long way. It soaks in quickly and doesn't leave your skin feeling sticky or damp. The product suggests you can mix it with your usual product or put on by itself, I did just this and although I didn't see the affect straight away I could certainly see it after a few days and I feel great!!! 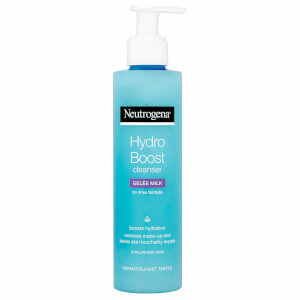 While there is nothing overly wrong with Neutrogena Hydro Boost capsule-in-serum it's not something I'm going to get again. The packaging is nice, simple and the colour does stand out. The look of the product itself I did quite like (my kids especially were fascinated by the pearls in the serum). It was very subtly scented which I liked as not keen on overly powerful scented products for my face and the smell itself was pleasant. It was felt very light on application and absorbed into the skin very quickly leaving the skin feeling moisturised and fairly nourished. I didn't however feel that it had any other benefits for my skin that my everyday moisturiser didn't. I didn't see any difference in my skin while using this product to what I usually use. So while there is nothing wrong with it it's not something I'm going to be switching to. Wonderful product. Lovely and light formula not sticky or oilly. Will definitely recommend this product to others.